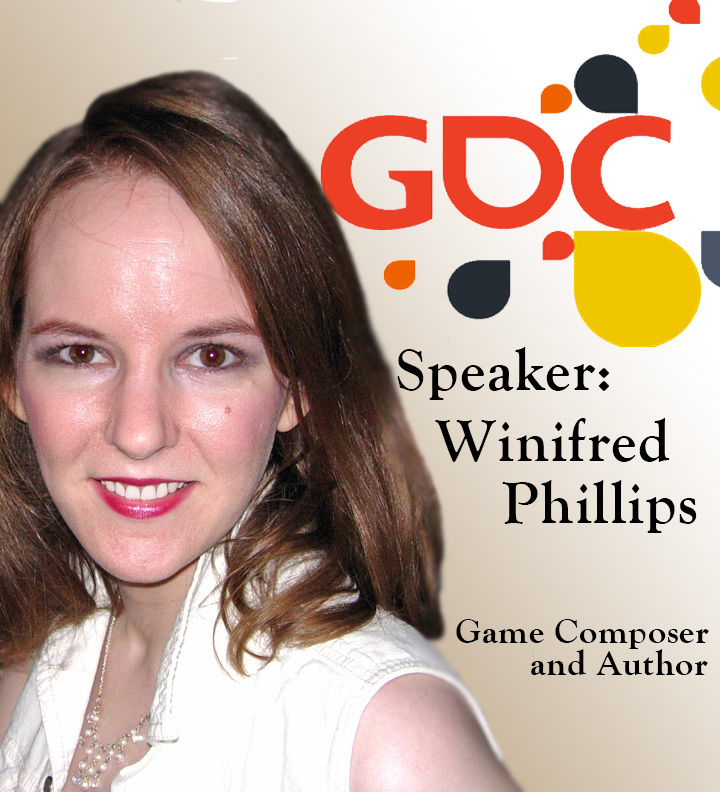 I’m happy to announce that I’ve been invited to participate in this year’s GDC Flash Forward! This will be the fourth annual GDC Flash Forward event, which this year will kick off the main conference sessions taking place from Wednesday March 4th – Friday March 6th. Like a big “coming attractions” show, the Flash Forward allows attendees to get a first look at sessions that have been selected as especially interesting or noteworthy by the GDC Advisory Board. Out of the over 400 lectures, panels, tutorials and roundtables that take place during GDC Week, the GDC Advisory Board selects around 70 sessions to participate in the Flash Forward, so I’m very pleased to have been asked to participate this year! During the Flash Forward event at 9:30am on Wednesday March 4th, each speaker will have from 30-45 seconds to present an enticing preview of their presentation, along with a video clip showing some of the sights that will entertain their presentation attendees. 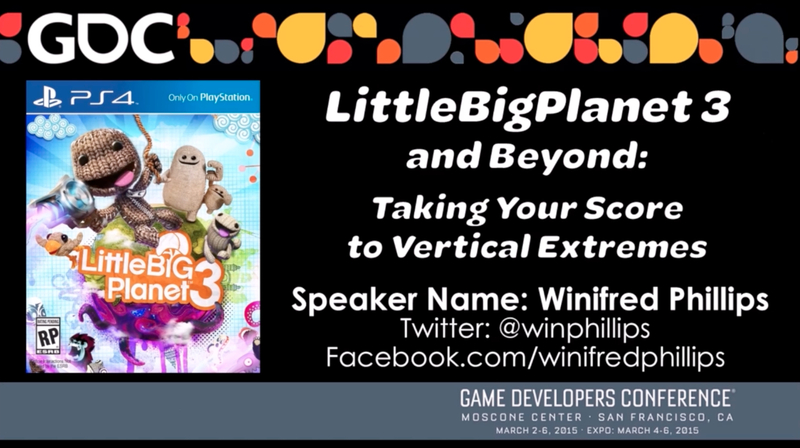 I’ll be presenting a preview of my talk, “LittleBigPlanet 3 and Beyond: Taking Your Score to Vertical Extremes,” which will take place on Friday March 6th at 10am in room 3006 West Hall. This year the hour-long session will be headlined by industry veterans Brenda Romero (Romero Games, UCSC) and Laura Fryer (Oculus VR), and they’ll be presenting their own informal take on the state of the industry before participating in what always proves to be a fun, fast-paced event that highlights some of the best GDC 2015 talks. Flash Forward presenters are hand-picked by the GDC Advisory Board, ensuring that the session will feature an eclectic mix of speakers that represents the full breadth of the conference. Those selected will have the chance to grab attendees’ attention by taking the stage for a brief period of time — 30-45 seconds, tops — to present a rapid-fire overview of what their session is and why it’s worth checking out. This year’s Flash Forward should be very exciting, and I’m honored to be a part of it! If you’re attending the Game Developers Conference this year, be sure to go to the Flash Forward! It’s sure to be a lot of fun! 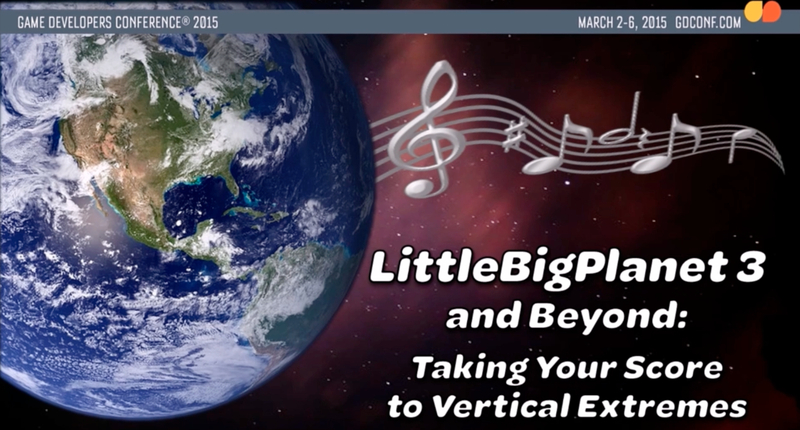 I’m also very pleased and proud that my session, “LittleBigPlanet 3 and Beyond: Taking Your Score to Vertical Extremes,” was selected by the Interactive Audio Special Interest Group (IASIG) as a Recommended Session for GDC 2015! The Interactive Audio Special Interest Group (IASIG) exists to allow developers of audio software, hardware, and content to freely exchange ideas about “interactive audio”. The goal of the group is to improve the performance of interactive applications by influencing hardware and software design, as well as leveraging the combined skills of the audio community to make better tools. The IASIG has been influential in the development of audio standards, features, and APIs for Microsoft Windows and other platforms, and has helped numerous hardware companies define their directions for the future. 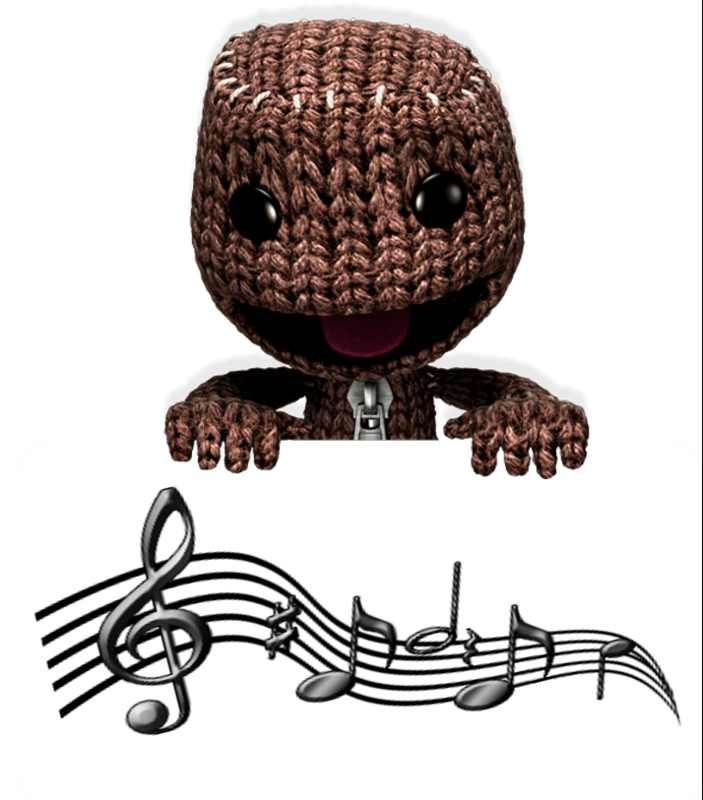 Emily Reese interviewed me about my music for LittleBigPlanet 3 and Assassin’s Creed Liberation. She also asked me questions about my book, A Composer’s Guide to Game Music. All my thanks to Emily Reese, editor Pierce Huxtable and the entire team at the Top Score Podcast. I’m honored to have been interviewed for this terrific program! I had a wonderful time last week, speaking before a lively and enthusiastic audience at the Society of Composers & Lyricists seminar, “Inside the World of Game Music.” Organized by Greg Pliska (board member of the SCL NY), the event was moderated by steering committee member Elizabeth Rose and attended by a diverse audience of composers and music professionals. Also, steering committee member Tom Salta joined the discussion remotely from his studio via Skype. Towards the beginning of the evening, I was asked how I got my first big break in the game industry. 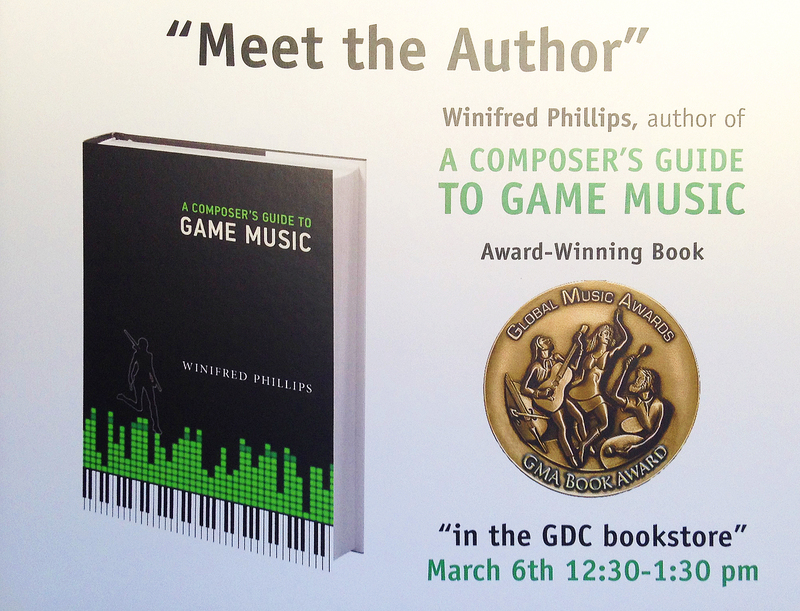 While I’d related my “big break” experience in my book, A Composer’s Guide to Game Music, it was fun sharing those memories with such a great audience, and I’ve included a video clip from that portion of the seminar. After the event, we all headed over to O’Flanagan’s Irish Pub for great networking and good times at the official NYC SCL/Game Audio Network Guild G.A.N.G. Hang. I especially enjoyed sharing some stories and getting to know some great people there! Thanks to everyone who attended the SCL NYC seminar!